In among the wonderful scenery that can be found in this part of Scotland, you can also find some unexpected and truly unique attractions. Some you may have heard of and others you'll be dying to visit now that you have. Water is an important feature of many of the sites we have picked, with the ingenious ways that Scots have found to harness its power playing an important role in this region's success. The Kelpies were only completed in 2014, but they have quickly become one of the most popular tourist attractions in Scotland. 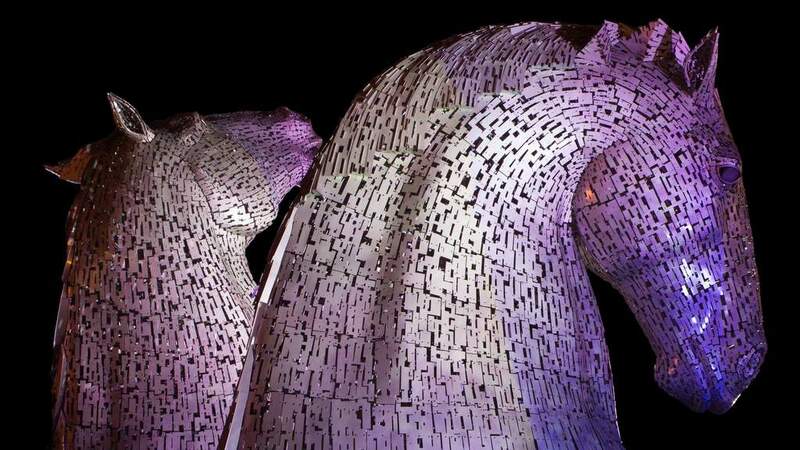 Conceived by sculptor Andy Scott, they form the centrepiece of a regeneration project called 'The Helix' in the formerly industrial area of Falkirk. Situated where the Forth and Clyde Canal meets the River Carron, the 30 metre high sculptures guard the turning pools of the canal and are visible for miles around. Apart from the beauty of the sculptures, they have to be seen to fully appreciate the feat of engineering which made them possible. Just 4 miles further along the Forth and Clyde Canal you will find the the fascinating Falkirk Wheel. This engineering marvel has been intriguing visitors for years with its ingenious solution to transporting canal barges up (or down) an incline of 24 metres, Where once a series of 11 Victorian locks completed the task, now a cantilever boat lift does the job in minutes. Either watch the wheel in action or take one of the boat trips and experience it in person. 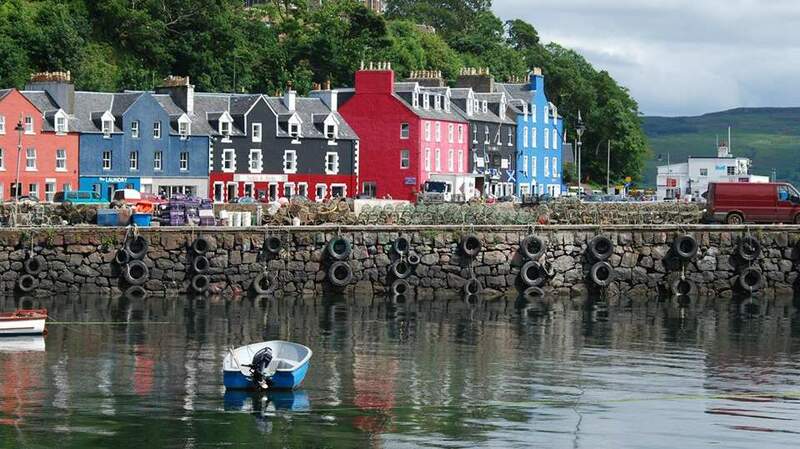 Tobermory is the colourful capital of the Isle of Mull which you have probably seen in guide books, but never knew where it was. The shops and restaurants along the harbour have been painted in many cheerful colours which have made it a popular tourist destination as well as a well used film location .... the childrens' television programme 'Balamory' was filmed here. Obviously the island can only be reached by ferry, but it is close enough to the mainland for a day trip, and there is enough on the Island to keep you occupied for much longer. Several boat operators can take you out from Tobermory to look for seals, porpoise, dolphins and whales which are frequently seen in the sea around Mull. This exciting project sees the transformation of a former railway engine shed in Stirling into a fascinating conservation centre focused on preserving Scotland's built heritage. As well as teaching future generations to learn the skills needed to look after our buildings, the public are also invited to come along and learn about/interact with exhibitions and hands on building materials. This will be great for anyone interested in traditional building methods, restoring an old building of their own or studying architecture. Due to open in 2017. If you want to go home with a genuine piece of Scottish history as a memento of your holiday, then visiting the Scottish Antiques Centre would be the perfect place to start. Under one roof you will find hundreds of dealers selling a huge range of antiques from more portable items of jewellery, up to large pieces of furniture and works of art. There is even a handy coffee shop where you can take a break between browsing. 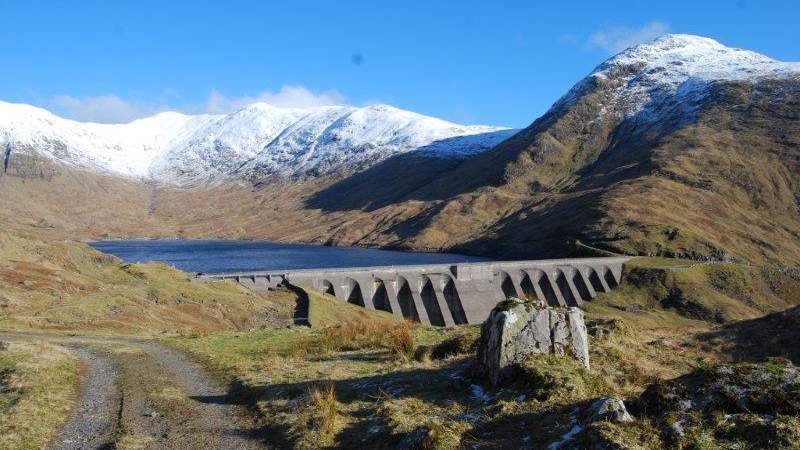 Cruachan Power Station lies deep within Ben Cruchan on the shores of Loch Awe, approximately 20 miles from Oban. Sometimes called 'The Hollow Mountain', this working power station uses massive turbines to transform the power of water into electricity. This is a unique opportunity to go underground and see this magnificent dam in operation. Take a guided tour by special underground bus or explore the visitor centre with exhibitions, cafe, gift shop and picnic area. Inverawe Smokehouse is famous for its smoked salmon and can be found 3 miles from Taynuilt and just a mile off the A85 heading south for Glasgow. A delightful single track road meanders up to the Park. Don't forget to watch out for the red squirrels en-route! Apart from all the wonderful walks on offer, you could get yourself an introductory course on fly fishing; visit the gift shop where all the smokehouse produce is on sale or just sample some at the cafe where delicious sandwiches, salads and home baking is available.